Casimir III of Poland is remembered as one of Poland’s greatest kings. He was not a great husband, however. He married four times, and each wife probably had her share of misfortunes. Out of his four wives, his second, Adelaide, suffered the most. After the death of his first wife, Aldona-Anna of Lithuania, Casimir needed to marry again. He was still young, and had just two daughters, and no sons. John of Luxembourg, King of Bohemia arranged for Casimir to marry his widowed daughter, Margaret, Duchess of Bavaria in 1341. This seemed like a good match, not only because her father ruled the neighboring kingdom, but she also had sons by her first marriage. Unfortunately, the bride died just days before the wedding. John quickly began searching for a new bride for the Polish king. He chose Adelaide, daughter of one of his allies, Henry II, Landgrave of Hesse. Adelaide was not a relative of John, and her father was not one of the Holy Roman Empire’s most powerful and wealthy rulers. She did have some good connections, though. Among her ancestors were the Hohenstaufen Holy Roman Emperors and St. Elizabeth of Hungary. Adelaide of Hesse was born around 1323 or 1324 to Henry II, Landgrave of Hesse and Elizabeth of Thuringia. In 1331, she was betrothed to Rupert, a Bavarian prince. Nothing came of this marriage arrangement. In 1339, her parents separated, after her father accused her mother of adultery. Adelaide’s mother returned to her native lands. This foreshadowed the fate of Adelaide’s own marriage. Adelaide and Casimir were married on 29 September 1341, in the Cathedral of St. Peter in Poznan. She was crowned Queen of Poland on the same day. The ceremony was attended by many German and Polish princes. Since her father was not very wealthy, she came with a small dowry. Nothing is known of Adelaide’s appearance. A later chronicler, Jan Dlugosz, wrote that Adelaide was more beautiful in virtue than appearance. However, some chroniclers praised her beauty. In the early years of the marriage, relations between Adelaide and Casimir appeared to be good. Casimir and Adelaide spent most of 1342 together, and in a document from that year he referred to her as “our beloved lady.” She never learned much Polish, but she is thought to have been well versed in Latin. Like his first wife, Adelaide was not politically active. She is known to have been active in religion and sponsored art. The years passed, and Adelaide would not become pregnant. Bearing her husband a son was supposed to be Adelaide’s most important duty. Casimir had two daughters by his first marriage, and as well as some illegitimate children, so it’s likely that Adelaide was barren. It is possible that she may have suffered a miscarriage, but there is no evidence for this. By 1354, there were rumours flying that Casimir planned on taking a new wife and setting Adelaide aside. Casimir’s last document that mentions Adelaide comes from February 1353. Adelaide continued issuing documents as the queen of Poland until October 1354. At the end of 1354 or the beginning of 1355, Adelaide and Casimir officially separated. Casimir had Adelaide imprisoned in the castle of Zarnowiec. There she was kept under close guard. This was a big humiliation for her. Adelaide was practically stripped of all of her rights. Meanwhile, Casimir looked around for a new wife. In the spring of 1356, Casimir was staying at the court of Holy Roman Emperor Charles IV in Prague. Charles was the son of John of Luxembourg. At Charles’ court, Casimir met Kristina Rokiczana, the wealthy widow of a Prague patrician. Soon they married, although Casimir was still married to Adelaide in the eyes of the law. In September 1356, Adelaide’s father came to her in Poland, and together they left for Hesse. 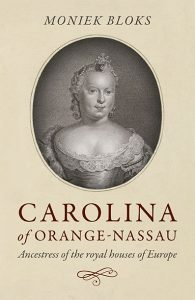 It is unclear whether Adelaide left on her own will, or was driven out of Poland by Casimir. Another possibility is that her father decided that his daughter should come back home. If Adelaide left on her or her father’s wishes, it is unclear if she left with royal permission. On her departure, Casimir confiscated all of her possessions. Adelaide’s departure was seen as the final break in her marriage. Adelaide’s departure did not serve as the end of her relations with Casimir. For the rest of her life, she fought for her rights to remain Casimir’s rightful wife. In 1357, she sent a complaint to the papacy about Casimir’s marriage to Kristina Rokiczana. She also tried to win the support of Poland’s neighbouring kings, Emperor Charles IV and Louis I of Hungary. They, however, supported her divorce from Casimir. Adelaide never visited Poland again, but she was well aware of her husband’s activities. Near the end of 1362, Casimir separated from Kristina Rokiczana and was looking for a new wife. He wrote to the new Pope, Urban V, asking that his marriage with Adelaide be annulled. The Pope supported Adelaide. He wrote to her in 1363, expressing hope that Casimir would take her back. Casimir however, had other plans. He planned on marrying Hedwig of Zagan, a daughter of a Silesian duke. At the end of 1364, he was given a fake document that annulled his marriage to Adelaide. In February 1365, he married Hedwig, much to the anger of the Pope. Adelaide continued her battle. She accused Casimir of falsifying papal documents and pointed out the Casimir and his new wife were related in the fourth degree. Urban V was on Adelaide’s side and ordered Casimir to dismiss Hedwig and take back his second wife. Casimir did not listen, and his new wife quickly bore him three daughters whose legitimacy was in dispute. The Pope ordered an investigation to see if Casimir forged his dispensation about his relationship with Hedwig. In 1368, he was ultimately cleared of these accusations. However, Urban V never recognised the Polish king’s new marriage as valid, believing Adelaide to be his rightful wife. Casimir died on 5 November 1370. He was succeeded as King of Poland by his nephew, Louis, also King of Hungary. Adelaide would have been entitled to own some lands in Poland as a king’s widow. Louis refused to give her these lands. Once again, Adelaide wrote to the Pope, this time a new one, Gregory XI. She once again asked for her marital rights to be recognised. On 25 May 1371, the Pope issued a bull urging Louis to give Adelaide’s property back to her. This is the last record of Adelaide. Due to her sudden disappearance from the records amid the well documented disputes, she probably died by the end of 1371. If so, her father outlived her by five years. She was buried in the Augustinian monastery in Kassel. Adelaide is probably one of the most unfortunate queen consorts in history. Because she was unable to fulfil her most important duty- birthing an heir, she faced banishment and humiliation. However, her well-documented fight against her ex-husband and refusal to be set aside shows that she was a determined and ambitious woman. If her marriage proved fertile, she could have been a capable queen. 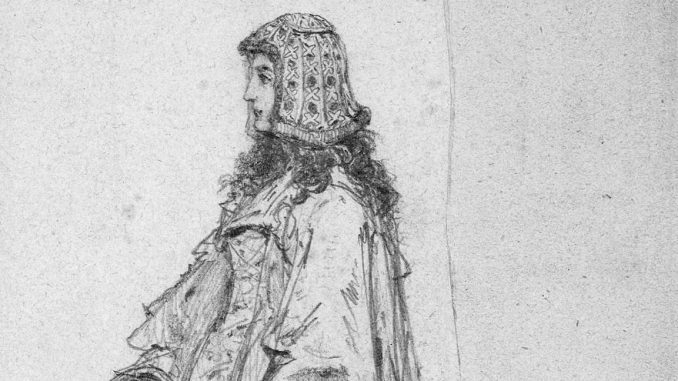 Adelaide’s tragic story illustrates the misfortunes a queen could face for not being fertile.